Some 130,000 children live in homes where high risk domestic abuse is present (SaveLives (2012, A place of greater safety: insights into domestic abuse) and parenting which can be difficult and challenging at the best of times, for those experiencing domestic abuse, they can face huge additional difficulties. 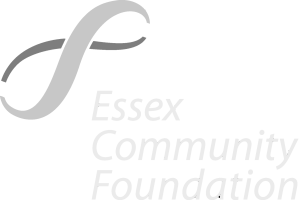 One of our community services which seeks to address the impact of domestic abuse on the individual, child and their parenting is our STEPS education programme which is part of our Early Offer of Help programme based in the area of Thurrock. The STEPS programme is an eight week programme which explores the impact of domestic abuse and the difference between healthy and unhealthy relationship behaviours. The programme aims to: challenge and change negative patterns of behaviours and beliefs; validate the individuals strengths and resilience and explore new ways of parenting. Through our our Early Offer of Help service we are able to support twenty women in our STEPS programme and additional women through our three weekly drop ins which run at venues across Thurrock. The aim of this service is to support individuals earlier, taking action to tackle problems before they become more difficult to reverse.